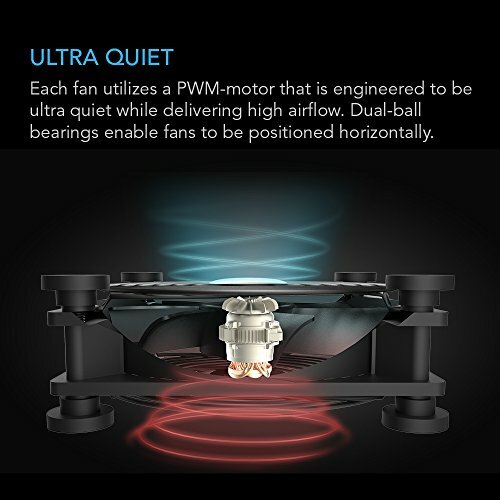 The ultra-quiet cooling fans can be positioned to stand upright or laid flat to cool various electronics and components. 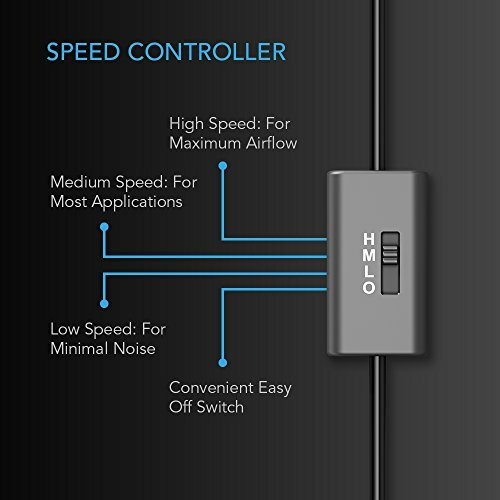 Features a multi-speed controller with power switch. 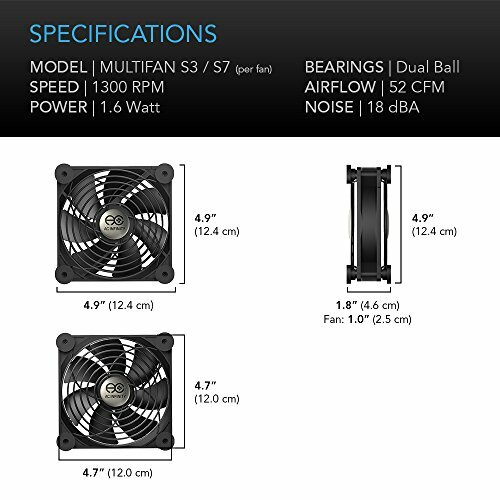 Includes eight large anti-vibration rubber feet per fan and a 6-foot power cord. The USB plug can be plugged into the USB ports found behind popular electronics such as receivers and video game consoles. 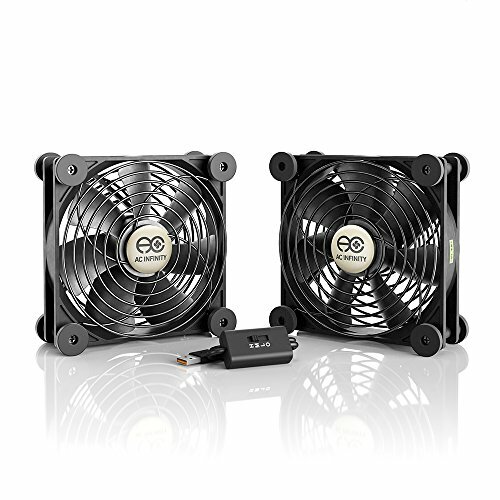 The two fans are permanently connected by a 2.5 feet cord and share the same multi-speed controller. 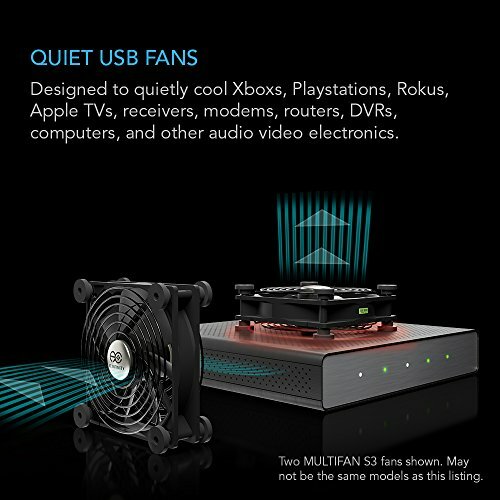 Each unit contains an additional USB port, up to four fans can be daisy chained together to share the same power source. 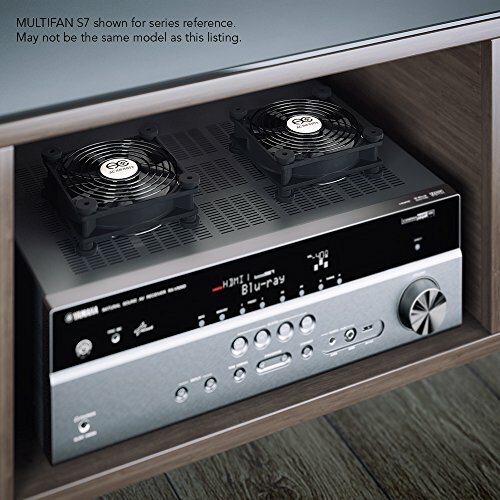 Certified by CE and RoHS.